« A great day was had by all at the 128th Miners’ Gala! As we welcome October, it’s Conference season again. Last week the Lib Dem’s took their turn, telling us they were sorry and not much else, and this week the Labour Conference is taking place in Manchester. Following Ed Ball’s speech today we look set to see some very exciting policy initiatives, particularly on housing, and a proper alternative to the Lib Dem-Tory Government’s failed economic plan. Yesterday I arrived in the city in pouring rain (not much different from Durham), but everyone was in high spirits, excited about all the events taking place over the next few days. My conference diary is extremely packed, from speaking in events and meeting different organisations and journalists to attending the Conference stalls, listening to other speakers and catching up with delegates from Durham and across the North East. Luckily, we all have far too much to be doing for of the climate to be concerning us. 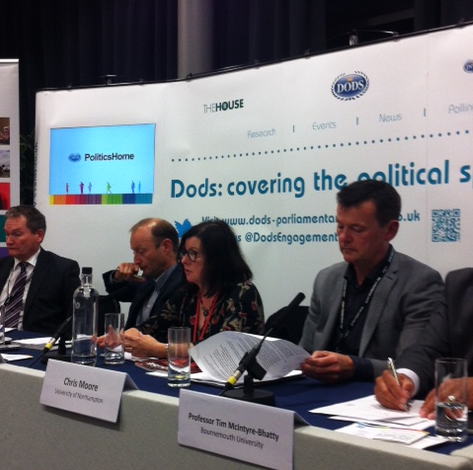 After some catching up with colleagues I spoke at a DODS Politics Home fringe event, entitled ‘Funding our universities, is business the answer?’ Other speakers included Shabana Mahmood, the Shadow Minister for Higher Education, and Vice-Chancellors from several universities. The event was fantastic – a very informed academic audience and an excellent panel enabled a proper discussion of the future of our universities. I spoke about the investment which was put into building business university links under the previous Labour government, and I emphasised the need to build on these links and this investment particularly given the upheaval the higher education sector has seen under the Coalition. The Lib Dem-Tory Government has continued with some investment for business university links, but the abolition of regional frameworks has made it much more difficult for universities and businesses to work strategically together. This is a real waste, as making it easier for universities and businesses to work together would not only improve higher education but would also benefit the local economy by creating jobs and encouraging investment. Much more needs to be done to rebuild an infrastructure which enabled such partnerships, especially as they could promote such growth in local areas. At the Dods event, I also raised the issue of private university providers, calling for proper scrutiny of any provider to protect students and allow for sufficient monitoring of standards in higher education. At the moment, privately run-for-profit institutions are relatively new there is no framework to allow for regulation of the sector. It is also important that this is put in place to ensure that publicly and privately funded providers can be properly compared. The panel agreed that more job based experience, including industry placements, for those studying degrees were a way forward (by helping to promote links with industry), but there was a fear that if this was not done carefully degrees could be targeted for a specific job or employer, leaving the graduate vulnerable to changes in the employment market. Following this event I participated in a Campaign to Protect Rural England discussion on the future of planning and housing provision in the UK and then on to an event organised by Northumbrian Water. 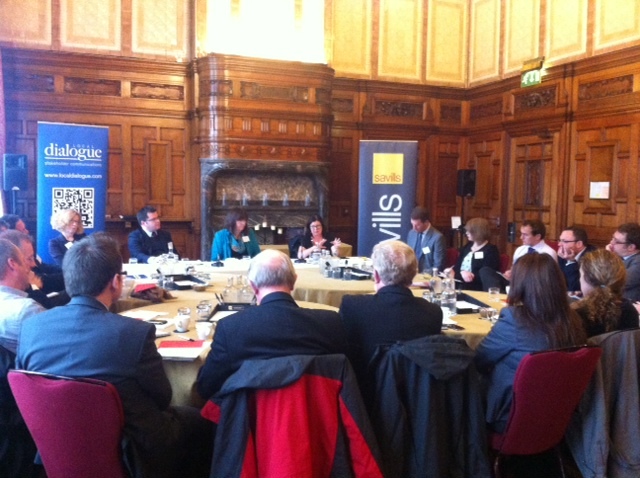 Early this morning, after a quick live interview on BBC Radio Tees where I spoke about my expectations for this year’s conference, I joined the RTPI (Royal Town Planning Institute) as keynote speaker at their policy roundtable. I set out Labour’s policy direction and our growing concern with the current confusion and mismanagement dominating the government’s planning policy. This concern was shared across the room ranging from bafflement at the government’s claim the building conservatories was the secret to tackling the double-dip recession to anger about the change to section 106 agreements and the ensuing delay to building the new homes we so desperately need while developers work out how this might affect them.There were also a number of detailed questions about development incentives. Now off for some meetings before attending a debate on how best we can work to make the north east an even better place to work and live. I will keep you updated throughout conference. Watch out later for an update on how LibDem- Tory policies are affecting women. Glad to see the planning system chaos that is being unleashed on this country is being recognized by politicians (some at least!). And that a debate is happening around the future of the North East. Any chance of this debate being opened up to those of us who are not of any political party?